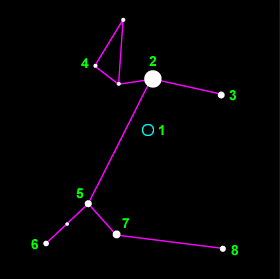 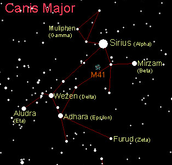 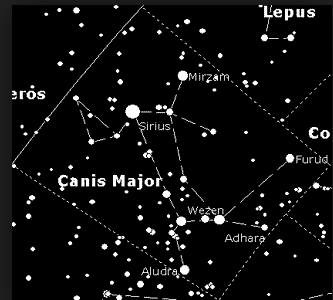 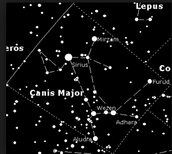 The Canis Major is 8.6 light years away and is the brightest star of the great dog. 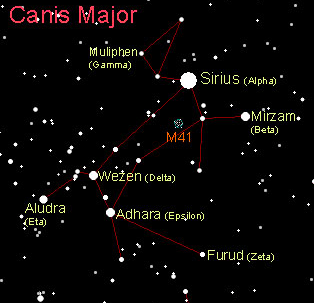 Its a star cluster and its name is M41. 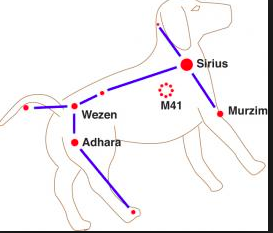 The myth is the "Greater Dog" because they thought it looked like a dog standing on its hind legs.